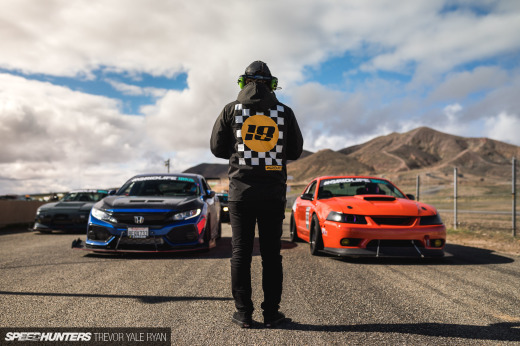 While there might not be any substitute for driving your car enthusiastically through a perfectly carved mountain or canyon road, we all know that the only place to enjoy the upper limits of its performance is to flog it around a race track. 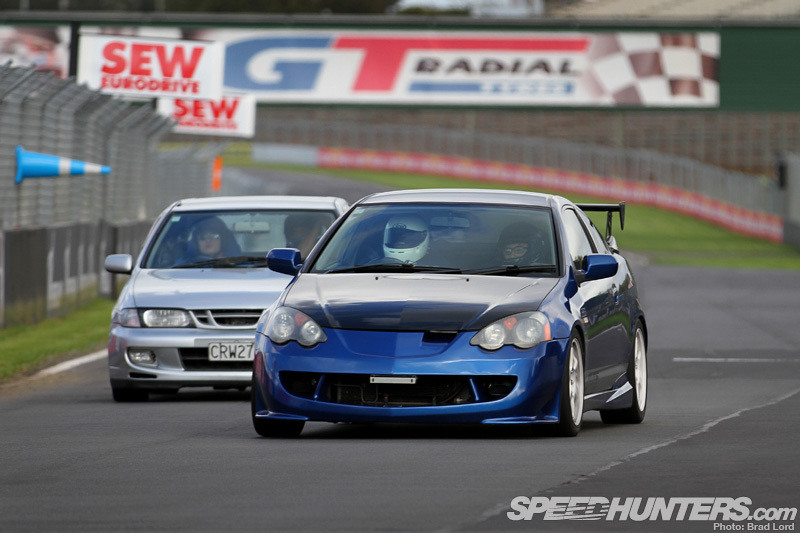 Track days are nothing new of course, but over the past couple of years their popularity in New Zealand has definitely been on the increase. 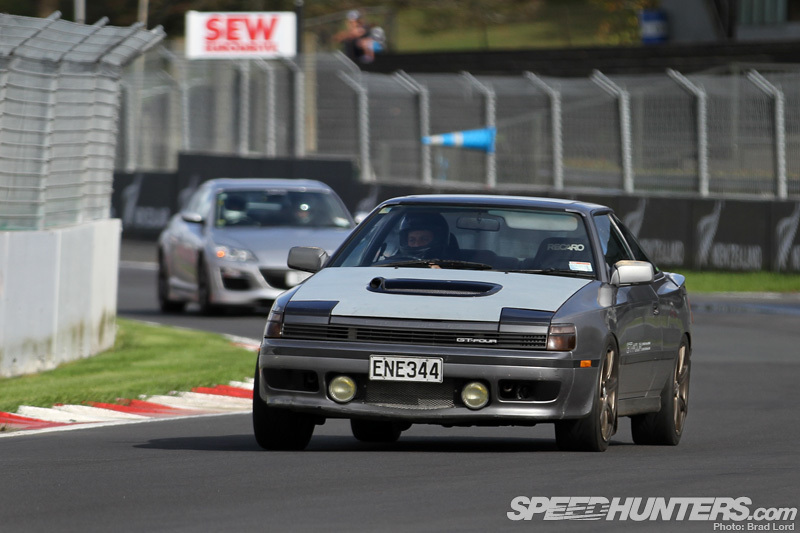 With that in mind, I thought there was a good opportunity to head along and check out a regular event held at Pukekohe Park Raceway called NZ Track Day. 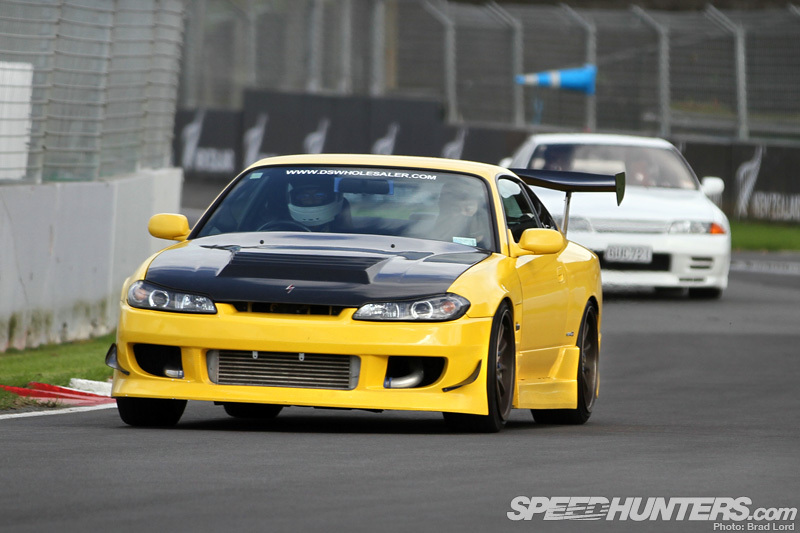 Unlike most local track days which are operated by the track themselves or their associates, the guys behind NZ Track Day simply hire out the venue to hold their events. Originally it was just a small close-knit group of friends that brought out their cars, but it’s much bigger now. For the most part though, everyone is still connected by friendship, which goes some way in explaining the relaxed atmosphere. 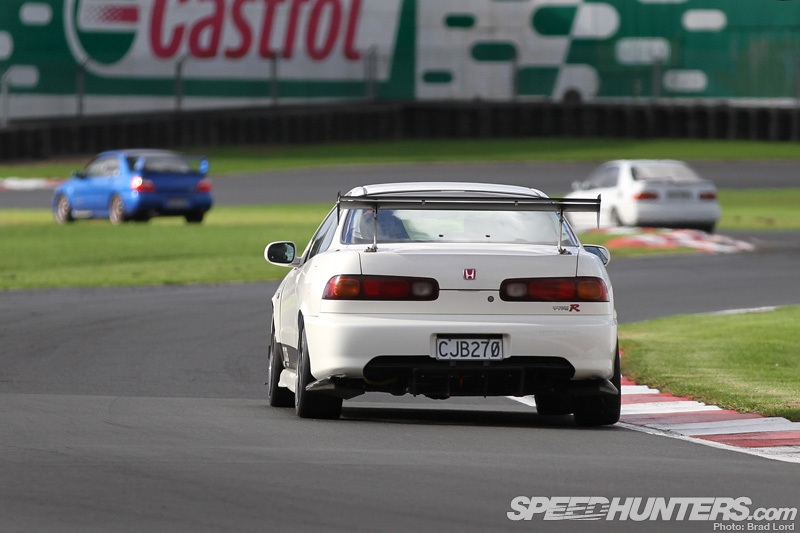 The event organiser, Henry Choi, always manages to get a few laps in, in his Motul Honda Cup car too. Although the majority of the cars that attend are of Japanese origin – the UK-assembled EP3 Civic Type-R technically an exception to the rule in this photo – there’s plenty of variety within the ranks. 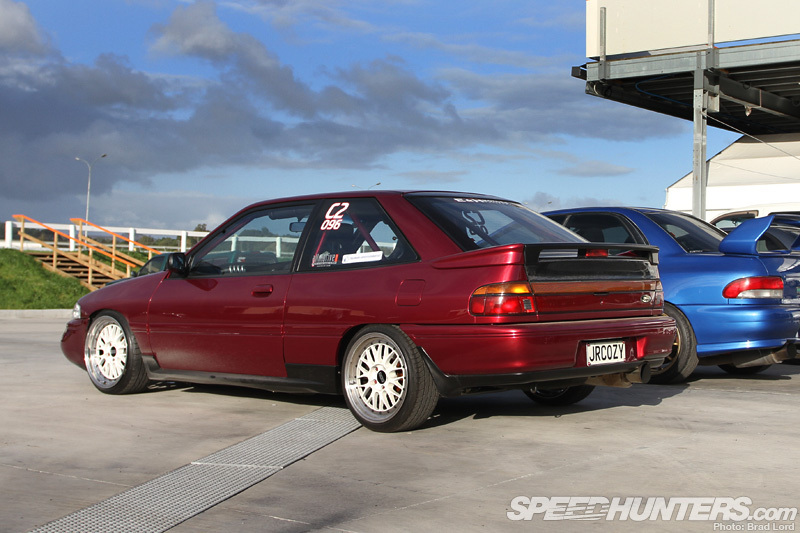 There’s definitely no shortage of BNR32 Skyline GT-Rs in New Zealand, unlike the ST205 Celica GT-Four, which are few and far between now. Judging by the elevated rear wing, this one could be the desirable WRC/Group A Rallye variant. On the subject of Celica GT-Fours, considering that I haven’t seen one on the street for a long time I was very surprised to see an original ST165 out lapping the track. Given that the rally-bred model is fast approaching 30 years of age and rust wasn’t their friend, it’s understandable. 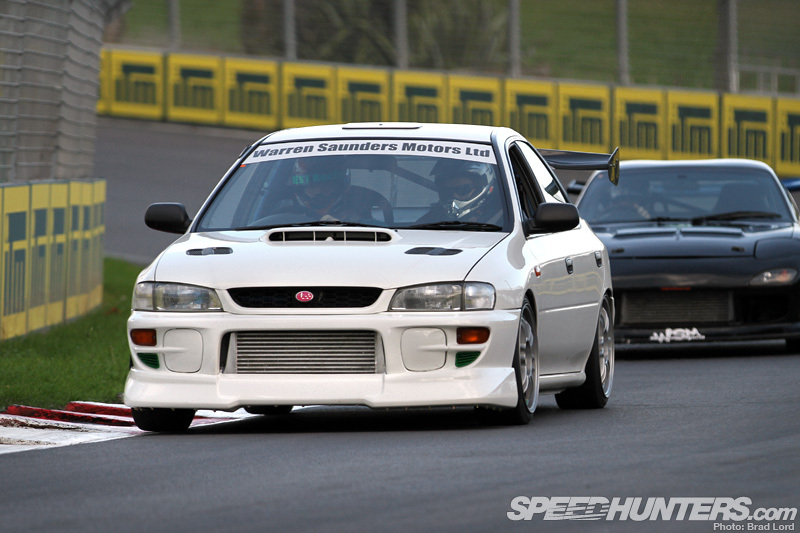 It was the first time NZ Track Day had used the Pukekohe circuit after its upgrade for the Auckland round of the V8 Supercars which I covered last month. Although the back straight is a bit shorter now, thanks to a new deviation that adds three extra corners, you can still get plenty of pace on. The end of the front straight is pretty quick too, and you definitely need to be in the right spot on the track for the fast-approaching right-hand sweeper, if you’re hard on it. 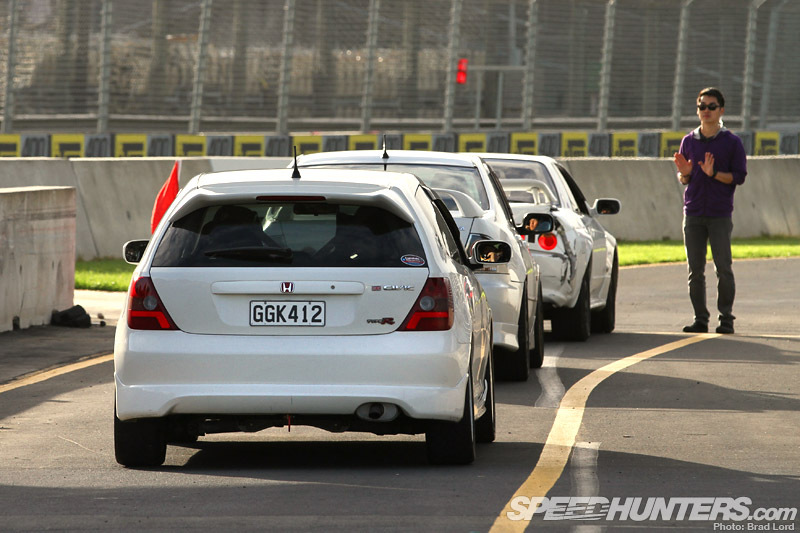 The passenger in the Nissan Pulsar VZ-R behind the DC5 looks like he’s ready! 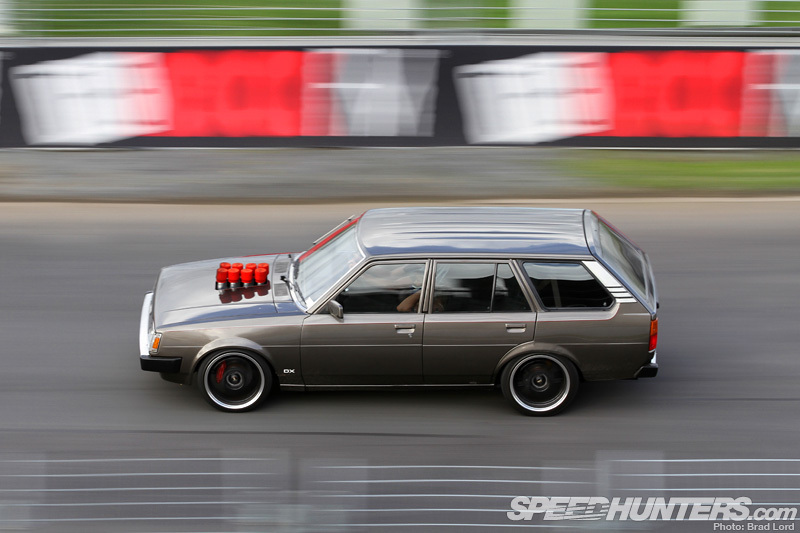 One of the best sounding, and arguably coolest looking cars was this V8-powered ’84 Corolla DX wagon. I didn’t get a chance to take a look under the bonnet, but it looks like there might be a 1UZ-FE quad cam strapped up front. There were some sweet sounds emitting from this naturally aspirated and peripheral ported 13B RX-7 too. It might only be a replica of the Moffat/Katayama Group C machine, but it’s a damn good one. 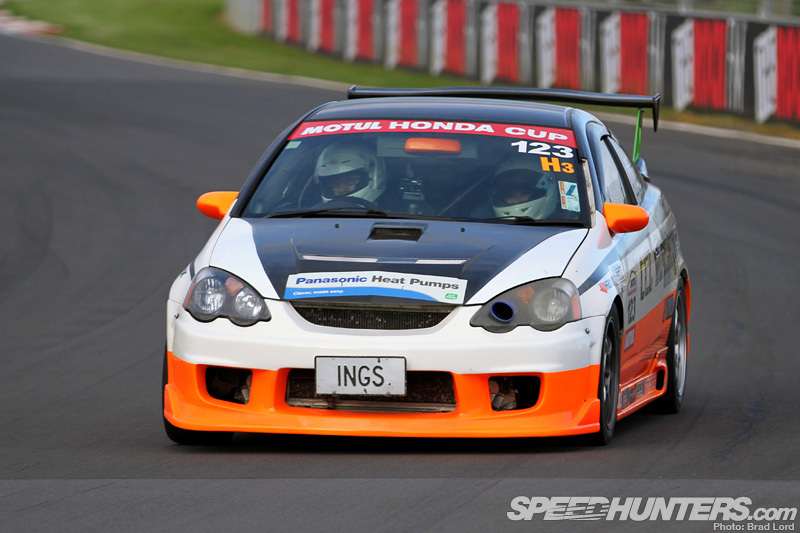 This DC5 Type-R looked quite quick out on the track, and after a close inspection in the pits I found out it was running a JTune K24 engine upgrade and full slicks. Nearby I found this EK9 Civic Type R which had also been given the K24 treatment over its factory B16B. 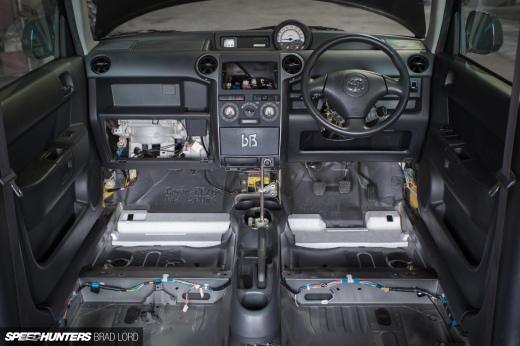 Given how much power these engines produce with just minor upgrades, it’s little wonder owners opt to go down the K-swap route in a B-series, or D-series chassis. 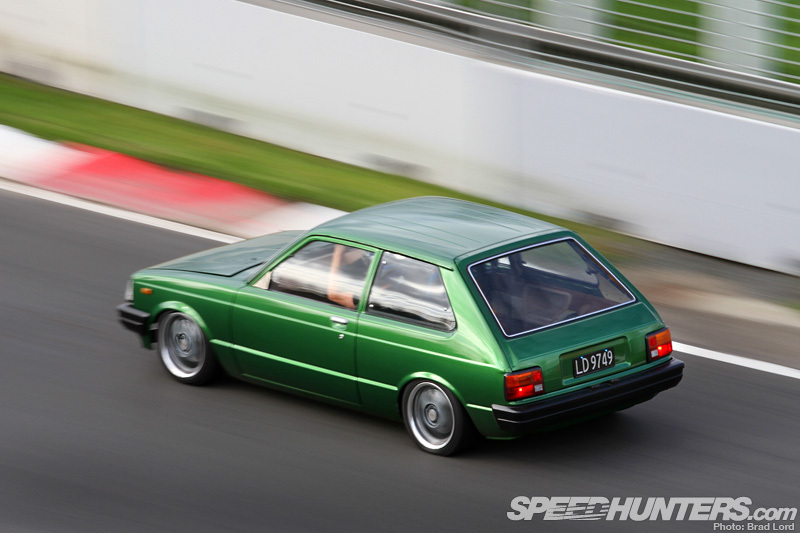 I didn’t see this clean little KP61 Starlet out on the track much, but its was obvious that the standard, naturally-aspirated 1.3-litre engine had been given the boot. Under the hood was a neat little set-up based around a 4A-GZE engine that’s been rid of its factory-fitted supercharger and upgraded with a single turbo. 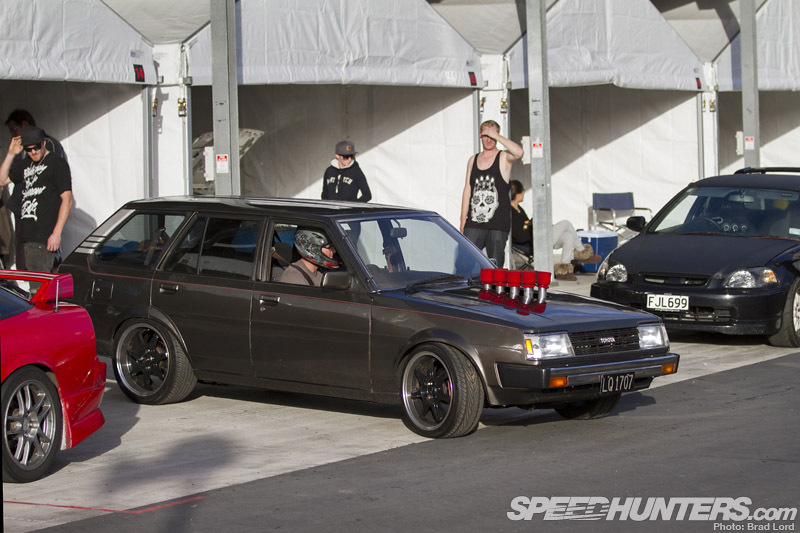 The ‘4A-GTE’ is a pretty common build in New Zealand and definitely a cool conversion for the Starlet. Early model WRXs still have a big following here and the WSM car – which looks like it’s built around a lightweight STI Type RA chassis – is a pretty well-sorted machine. Before Subaru Legacys and WRXs came along though, the local four-wheel drive turbo domain belonged to Mazda Familia BFMR. This one – and the Ford version of the very same chassis ahead of it – were both being driven to the absolute limit. That, of course, involved a lot of tyre-howling understeer! Helped along by some carbon, a huge rear wing and some wide wheels, this Lancer Evolution V looked pretty tough. Simple can be effective too. 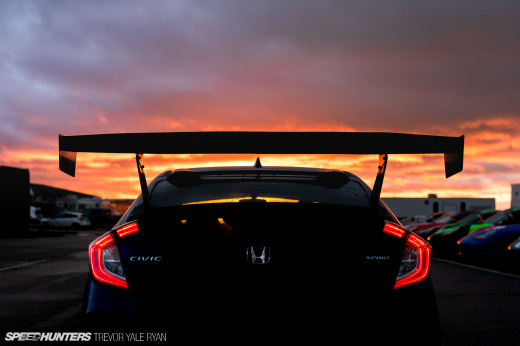 William Yu’s B18C-powered EG Civic is another car from the Honda Cup. 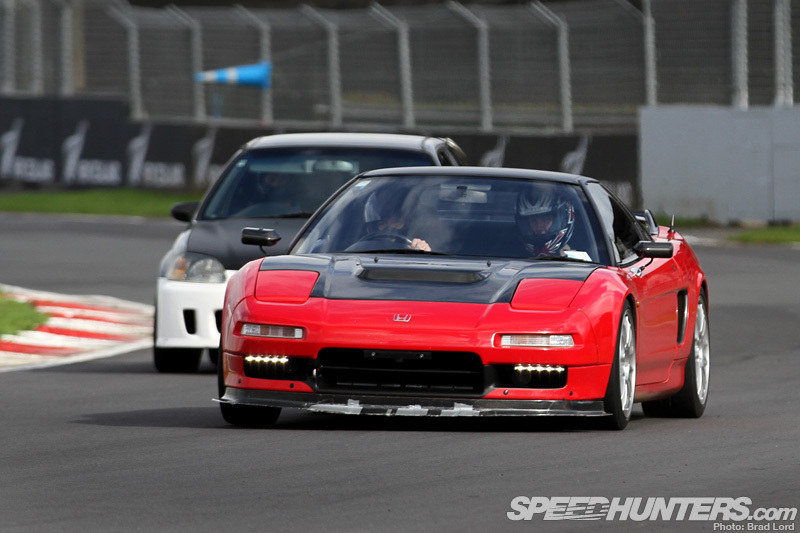 I’m not sure how many NSXs there are in New Zealand, but it’s definitely not a lot, so seeing one out on the track was a rare treat. 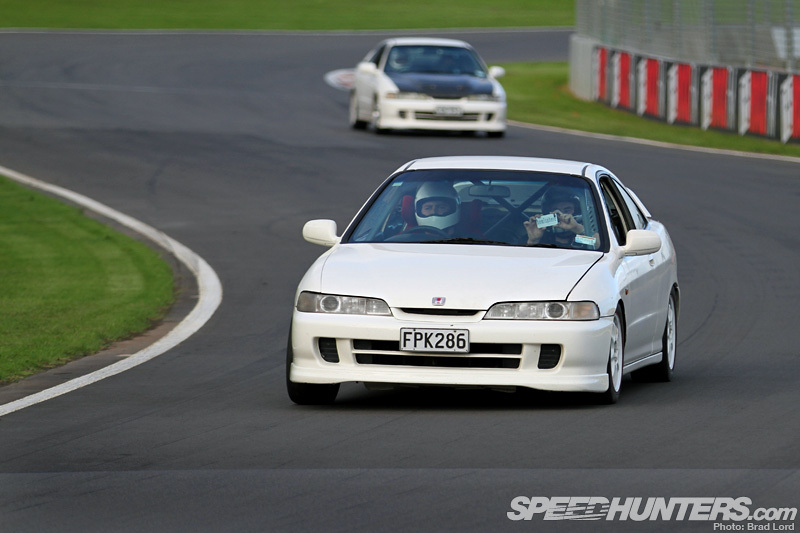 This one has a bunch of Type-R parts, as well as a few upgrades in the engine bay. 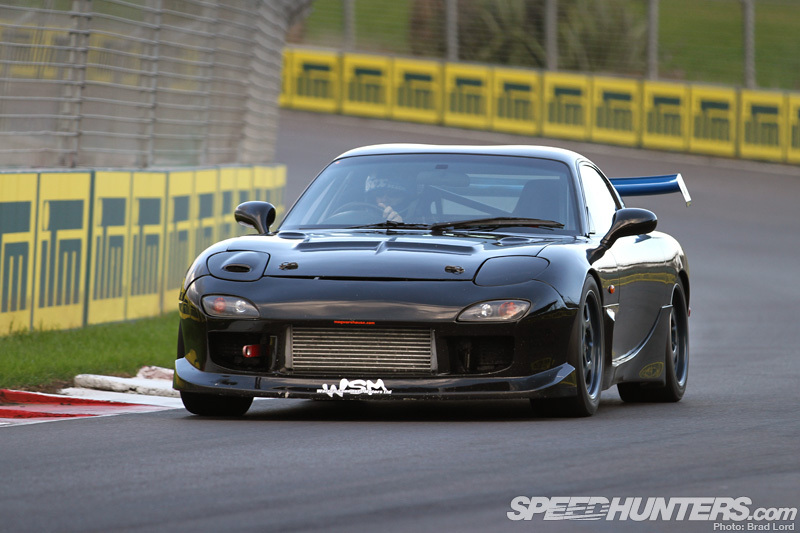 One of the quickest cars lapping the Pukekohe track was this FD3S Mazda RX-7. The big single turbo conversion obviously helps the cause! 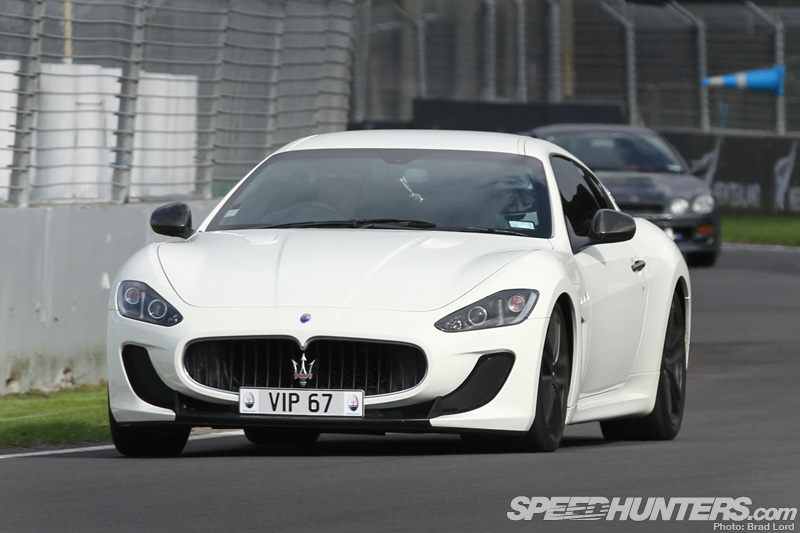 You don’t see Maserati GranTurismos everyday in New Zealand, let alone a high performance 444hp MC Stradale version. 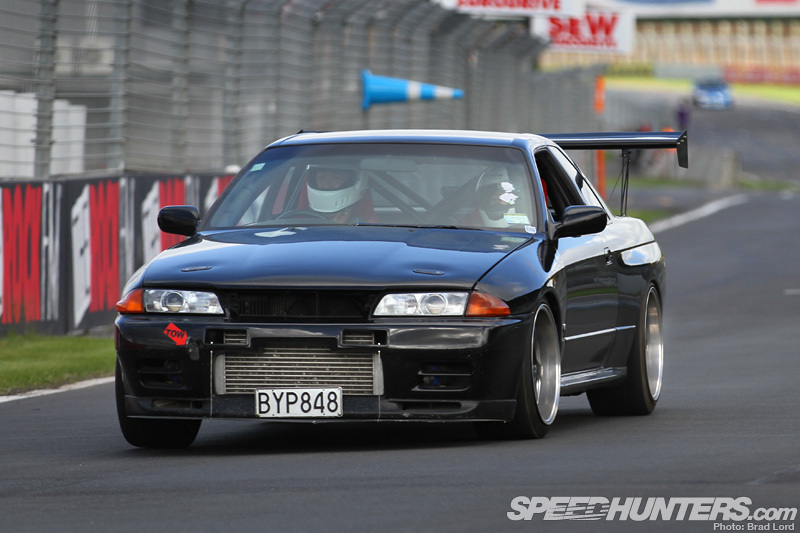 It’s always good to see cars like this getting put to proper use on a racetrack. 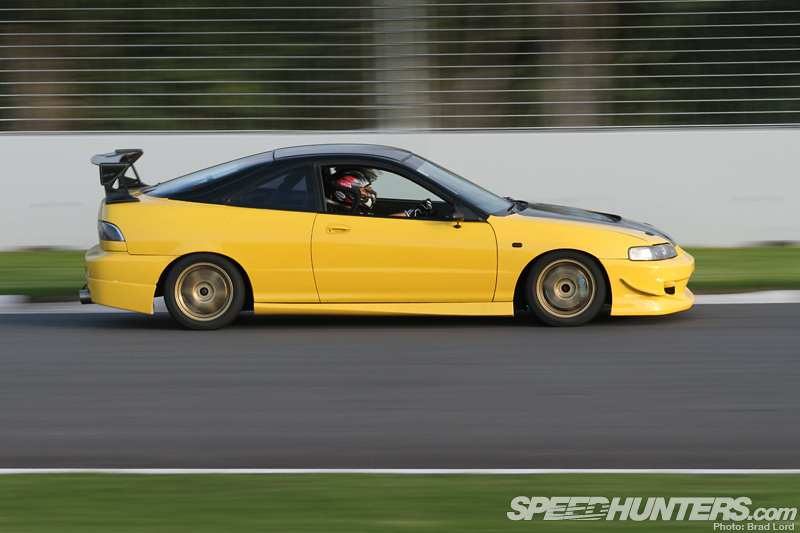 The K24-powered Integra that I featured a few weeks back was also out cutting some quick laps. After spending some time trackside I took a wander through the pits to see what I could find. Here’s another shot of that Corolla from earlier. And here’s a nice pair of GC8 STIs – one in four-door guise wearing RAYS Engineering Volk Racing CE28S, and a coupé on Enkei RP-F1s. As much as track days are about getting out on the track, there’s the social atmosphere too. It’s a pretty nice way to spend a day, that’s for sure. 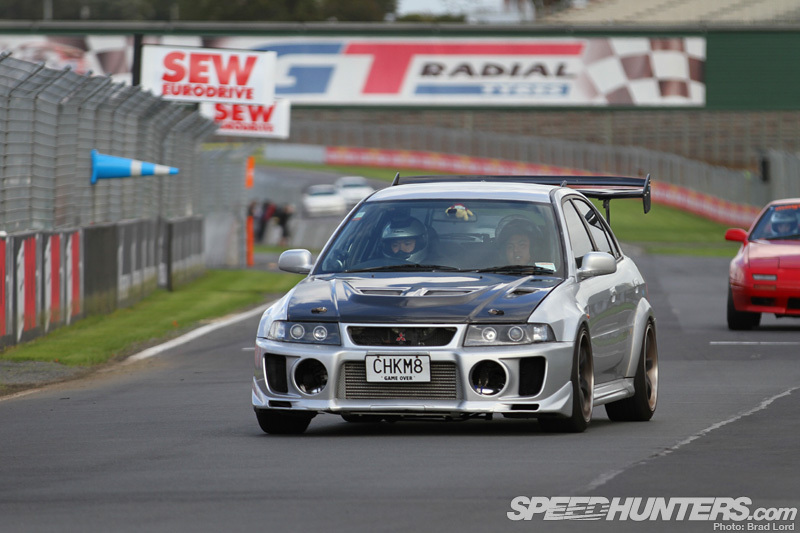 The ST Hi-Tec BNR32 GT-R is an NZ Track Day regular, and features a bunch of upgraded parts that make it a pretty well-sorted street-driven track toy. ST has a good reputation when it comes to GT-R modifying, and the shop demo car features a fully forged RB26 build with a pair of Tomei Arms turbos strapped on the side, helping pushing more than 500hp to all four wheels. I didn’t get to have a good look over this BNR32 GT-R before it was loaded up on the trailer, but with a full cage, aero work and big tyres, it definitely looks like it’s been modified with purposeful intent. The main car park and area behind pit lane turned up some nice rides too. 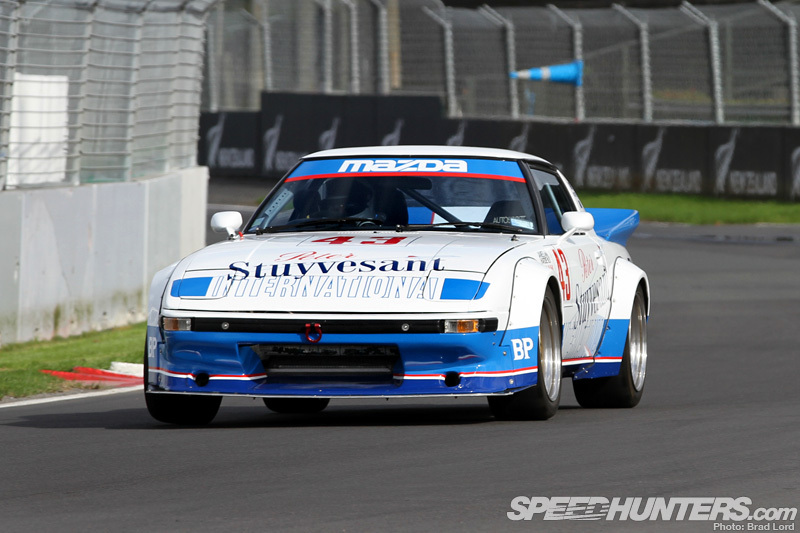 This series five FC3S Mazda RX-7 is one of the cleanest stock-looking examples I’ve ever seen. Kudos to its owner. 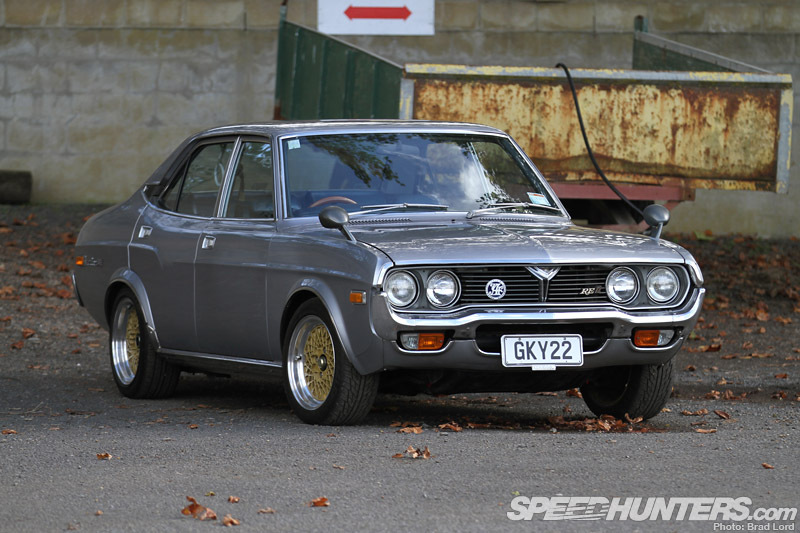 And the same has to be said for this immaculate four-door JDM import ’73 Mazda Luce RE12 – aka RX-4. I really like the simple style of this car and the Japanese touches, like the JAF badge on the front grille and the tsurikawa seen through the rear side window. 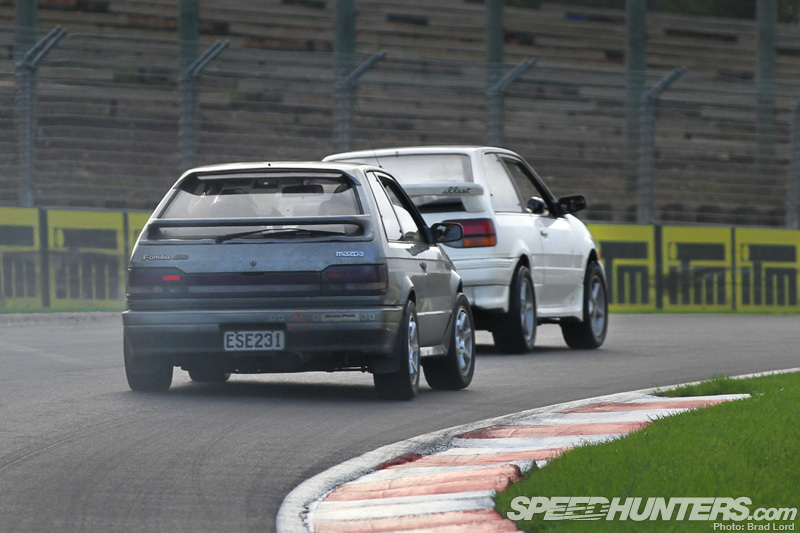 The front-wheel-drive Ford Laser TX3i isn’t a popular modifying base, but this one – which sees drag strip action on a regular basis – definitely flips the script. 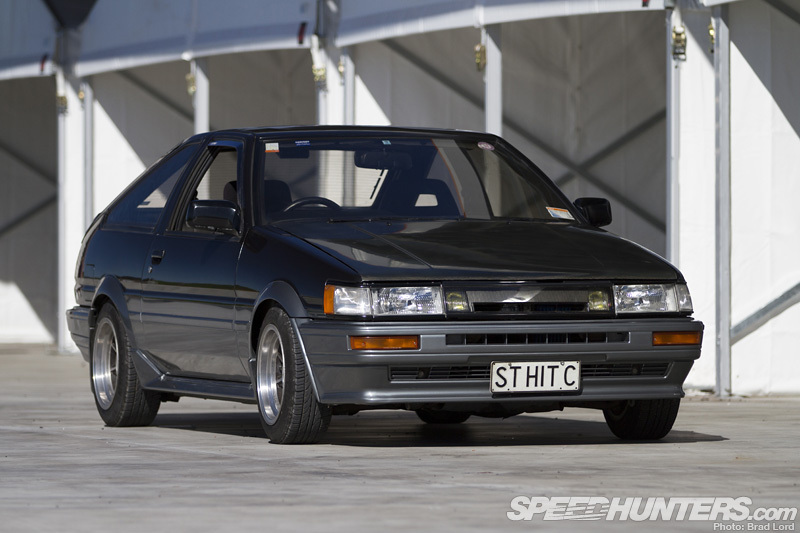 Being an AE86 owner, the latest acquisition by ST Hi-Tec definitely caught my eye too. I really like the factory-spec black over dark silver split and you can’t go wrong with a set of Hayashi Street wheels. The fresh-off-the-boat Japanese import sounded nice too, which according to ST’s owner is thanks to a Koshimizu Motor Sports (KMS) engine build. 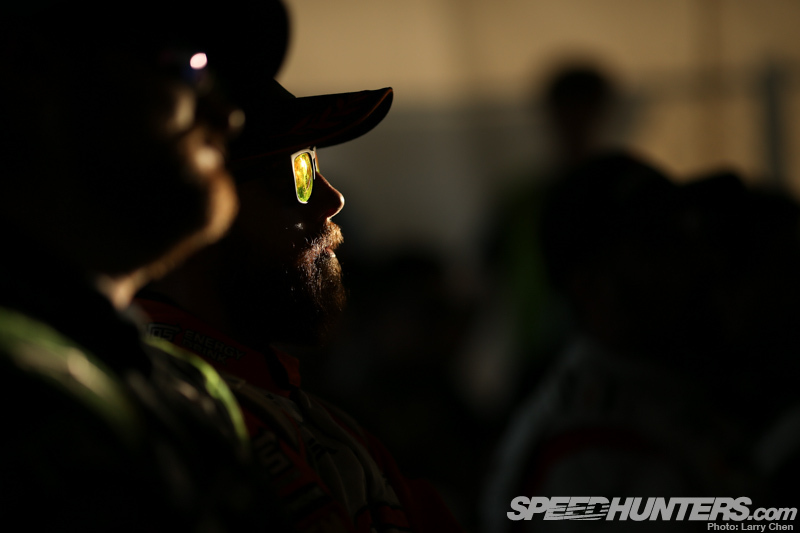 While there appeared to be a few people there for the specific purpose of testing their race car, for most people it was just another opportunity to get out on the track and run a few laps with their friends. 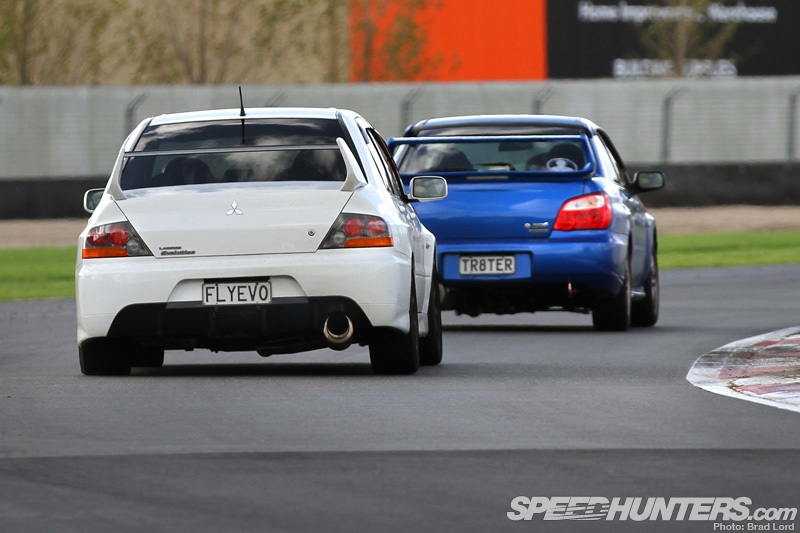 The driver of the WRX and the driver of the Evo seemed to be having a lot of fun – which is what it’s all about, right?